The latest round of a-n’s popular Go and see bursaries are now open for applications from a-n members. Awards of £500-£1500 are available for artist-led groups to visit other UK-based initiatives in order to extend peer networks, improve communications and knowledge exchange, and foster joint developments. More than 35 artists or artist groups have so far benefited from the bursaries which have in the past also enabled trips to special events such as the Art Party conference and the 2013 Venice Biennale. In 2014, the bursaries supported exchanges between artists from Glasgow, Edinburgh, Bristol, Redruth, Southend on Sea, London, Leeds, Sheffield and Newcastle/Gateshead. Along with two further bursary strands – Re:view and New collaborations – Go and see bursaries form part of a-n’s commitment to professional development provision. They are part of a programme that also includes information and networking sessions and seminar programmes, online toolkits and expert guides. The many artists who have so far benefited from Go and see bursaries have been writing about their experiences on a-n.co.uk. Andrew Martyn Sugars charted the progress of Derbyshire-based Corridor Arts 2014 via his a-n blog, and further discussed the outcomes in a recent review. 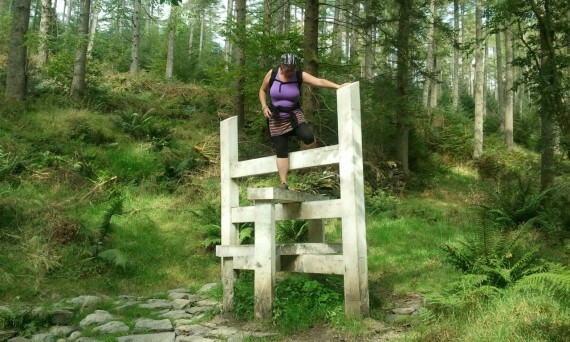 The bursary enabled the group to research the development of its Belper Art Trail project by visiting Forestry Commission England’s Grizedale Sculpture, walking the Silurian Way trail, and meeting its curator Hayley Skipper. Speaking about the visit, Sugars said: “Walking the trail, we experienced moments of ‘is this a sculpture?’ followed by moments of wide emotional responses, conversation and laughter. “We gained insight into Hayley’s world of curating and arts development for the Forestry Commission… we chatted about risk… about managing visitors… these ideas really started to push my theoretical standpoint about producing the art walk we’re planning. London-based Karl England, who with Ben Street and Charlie Levine is co-director of the arts initiative Sluice, outlined the outcomes of his bursary research trips to Sheffield and Leeds, Newcastle/Gateshead, and Edinburgh and Glasgow through two reviews looking at the sustainability and organisational structures of artist-led practice. He decided to let each of the organisations he met speak for themselves through a series of short videos posted online. Also successful in the 2014 round was Bristol-based DFW, a collaborative group of artists connected through a shared interest in dowsing for water. 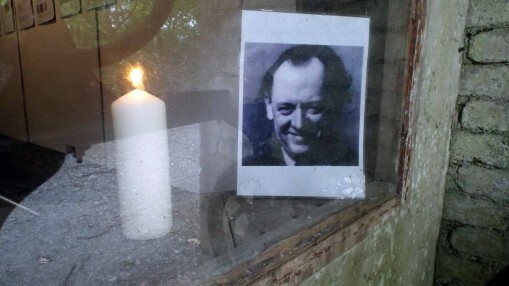 The group used the bursary award to complete a short residency at Kurt Schwitters’ Merz Barn in Cumbria. In the group’s residency review, artist Laurie Lax said: “It was hugely beneficial for us to spend time together, in a rustic space away from everyday distractions without the constraint of having to make final pieces.